Here's the oscilloscope problem that I was describing in class. If ANY part of the waveform is off the screen, you can't trust the results. 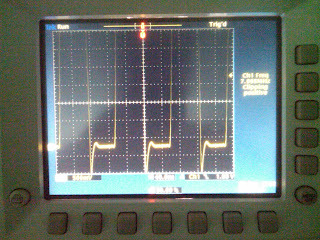 Here's an example using a TDS3012B oscilloscope. As we saw in class, the falling edge of the square wave exhibits a little undershoot. At 500 mV/div, the undershoot appears to be about 800 mV (at the bottom of the screen). 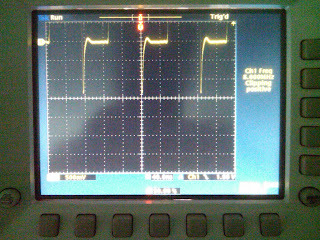 Note that some of the four-volt square-wave waveform is off the top of the screen. However, if we move the trace up to the top of the screen, now the undershoot appears to be about 1400 mV (note that the vertical scale is still 500 mV/div). The only change between these two screenshots is a small rotation of the vertical-position knob. When a large part of the waveform is off the screen, the oscilloscope's vertical amplifier is driven into saturation. When the trace returns to the screen, the increased undershoot is actually the recovery transient of the vertical amplifier. If ANY part of the waveform is off the screen, you can't trust the results. Dr. Lundberg, is this result the same thing that would happen with an analog scope? Though I think that I read on the Reading Jim Williams, that analog oscilloscopes can take a while to recover from an overdrive. 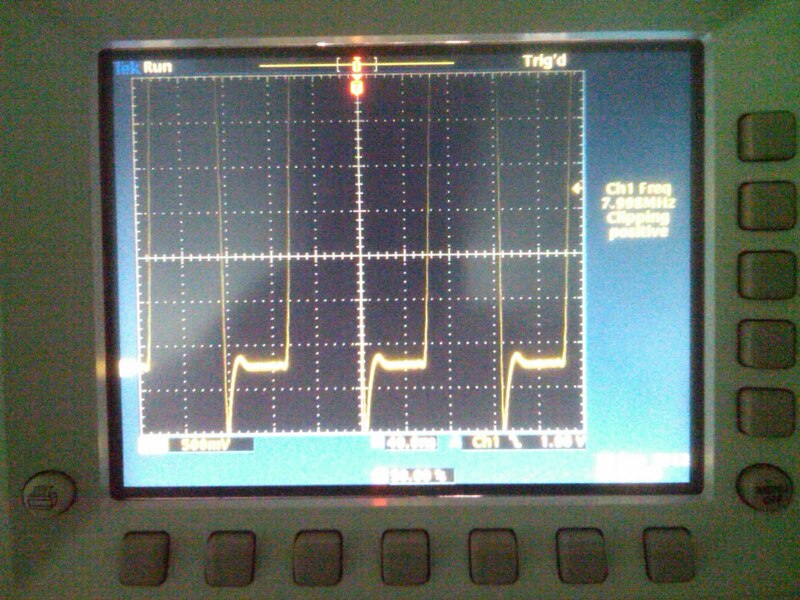 Also, what happens when you order drive the horizontal amplifier in an oscilloscope? Yeah, its very serious problem in this model, and thats why I try not to use it. In my opinion sds1202x e https://toolboom.com/en/super-phosphor-oscilloscope-siglent-sds1202x-e/ better than others copes with overdrive, and you need to test it in your experiment for sure. r of miles away, can bring down your working expenses, as well as reduces the unsafe impact of pressure, and includes true serenity.